On average, black Americans are sicker and die earlier than white Americans. 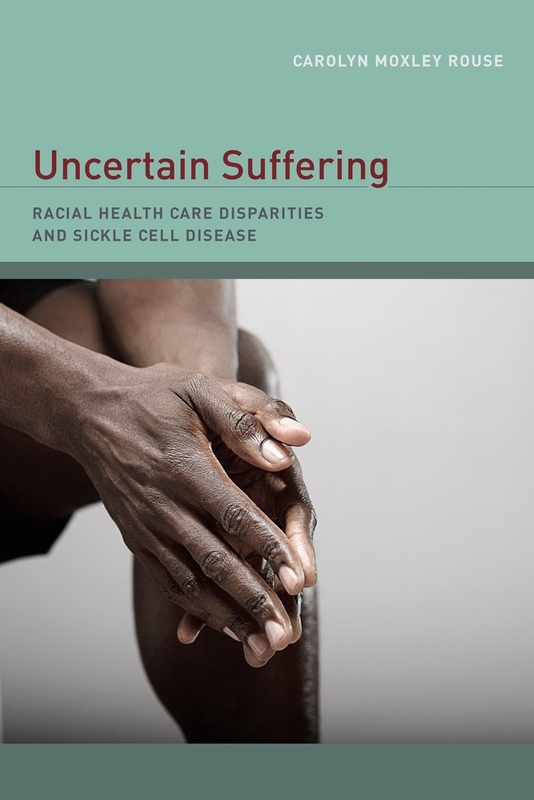 Uncertain Suffering provides a richly nuanced examination of what this fact means for health care in the United States through the lens of sickle cell anemia, a disease that primarily affects blacks. In a wide ranging analysis that moves from individual patient cases to the compassionate yet distanced professionalism of health care specialists to the level of national policy, Carolyn Moxley Rouse uncovers the cultural assumptions that shape the quality and delivery of care for sickle cell patients. She reveals a clinical world fraught with uncertainties over how to treat black patients given resource limitations and ambivalence. Her book is a compelling look at the ways in which the politics of racism, attitudes toward pain and suffering, and the reliance on charity for healthcare services for the underclass can create disparities in the U.S. Instead of burdening hospitals and clinics with the task of ameliorating these disparities, Rouse argues that resources should be redirected to community-based health programs that reduce daily forms of physical and mental suffering. Carolyn Moxley Rouse, Associate Professor at Princeton University, is the author of Engaged Surrender: African-American Women and Islam (UC Press). She has produced and directed documentaries including Purification to Prozac: Treating Mental Illness in Bali.